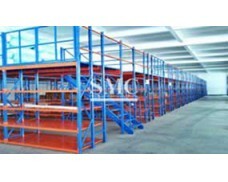 Shanghai Metal Corporation is a leading standard stillage supplier and manufacturer. The steel structure sandwich is also called the working platform, the steel structure platform or the steel platform. 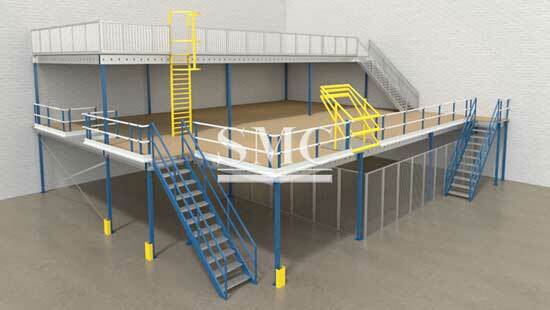 Modern steel structure platforms come in a variety of forms and functions. The largest feature of the structure is the fully assembled structure, flexible design, and can design and manufacture steel structure platforms that meet the site requirements, functional requirements and meet logistics requirements according to different site conditions. The method of making the steel structure as a partition is nothing more than welding the steel mesh conforming to the national standard into a criss-crossed steel mesh, and the top plank is made of a fire-retardant gypsum board top. It is widely used in modern storage. If you want to know more about our standard stillage products or price please feel free to contact us,we will reply you within 24 hours.